In 2017, China’s all-steel tire price trended unconventional. The all-steel tire price surged from years of quagmire, however, the downstream demand for all-steel tire was sluggish. Thus, market participants were active in seeking sally port amid obscure market. Guided by the merging and reorganization strategies and other strategic tactics, the concentration degree of all-steel tire industry enhanced somewhat. Beside, combined with the supply-side structural reform, the all-steel tire industry optimized and upgraded its industrial structure. Meanwhile, after China wined the U.S. antidumping and countervailing investigation, the U.S. would not impose any extra-tariff towards the Chinese-made truck tire, giving support to China’s tire export market. The development of China’s all-steel tire market became stable and ordered gradually, and the high export dependence degree moved downwards. Besides, China was obtaining more pricing right in all-steel tire market. In 2017, the competitive structure of China’s all-steel industry turned from diffuse competition to group competition. Moreover, the tire production would be more centralized, sales and trading strategy would be more flexible, and the end demand for all-steel tire would be more flourishing. Combined with the upstream and downstream running tendency, SCI forecasts the all-steel tire development in 2018–2020 with the adjustments of industrial policy and structure. The data about all-steel market includes the domestic and overseas official statistics, customs data, industry authoritative data, historical data, etc. Combined with those data and served for manufacturing enterprises, traders, processing and manufacturing enterprises and inventors, this report provides the market running dynamics in 2017 and scientifically analyzes the opportunities in the coming market. 1 This report analyzes the driving factors of price change from multiple angles, and evaluates the conduction of all-steel tire value chain objectively. 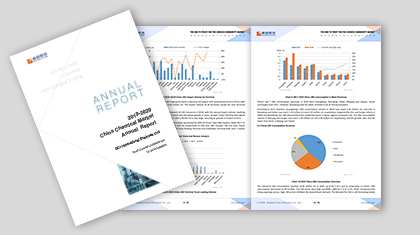 2 This report analyzes the all-steel tire export market from multiple angles and follows the antidumping investigation, and market participants will have a clear cognition towards the export pattern. 3 This report provides the data research about operating rate, inventory and sales volume, and market participants will grasp the market running tendency accurately. 4 This report shows the international influence of the change in China’s all-steel tire market by analyzing the supply and demand patterns.